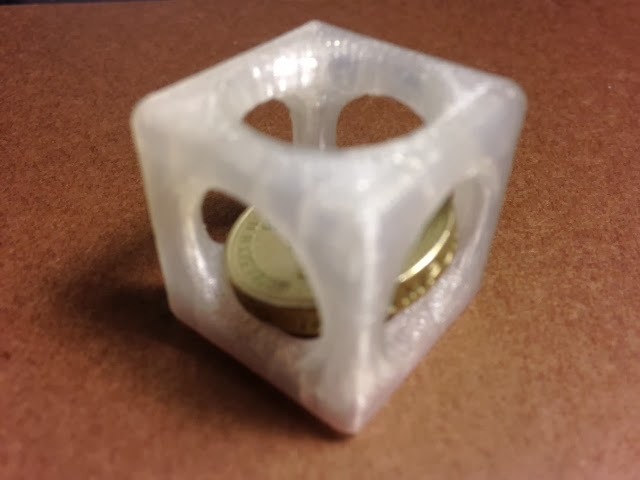 Today's print is one of the drop-down choices from the Customized Coin Trap model that we posted about yesterday: a trap for a British pound coin. Settings: MakerWare .2mm/standard on a Replicator 2. Technical notes: Pound coins are so thick that this model is really tight to the coin. I wimped out and hit "pause" to put the coin in.